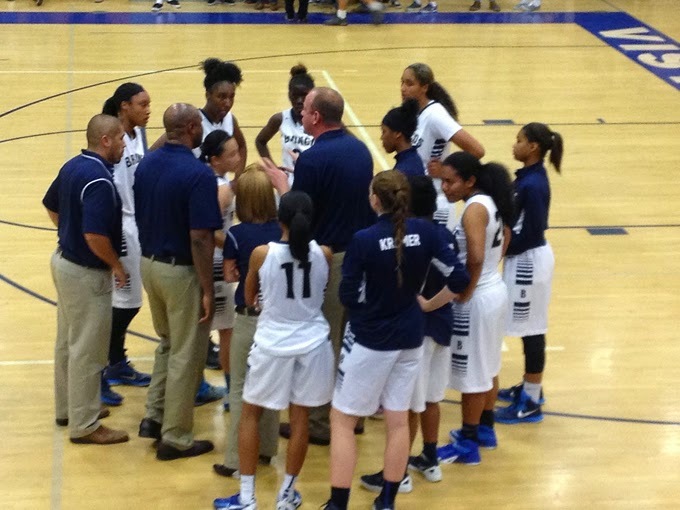 The Vista Murrieta High School girls basketball team will open the state playoffs on Wednesday. The long wait is over for the Vista Murrieta High School girls basketball team. The Broncos learned Sunday that they will open the CIF State Division I playoffs at home Wednesday at 7 p.m. against Eastlake High of Chula Vista. This will be the Broncos' first game since they lost a 58-54 decision to Long Beach Poly on Feb. 24 in the CIF Southern Division open division playoffs. Vista Murrieta (22-7) will be facing an Eastlake team that has a 20-8 record after losing to Mission Hills 61-39 in the quarterfinals of the CIF San Diego Section Open Division playoffs Feb. 28. The Broncos are seeded second in their bracket and would be home again in the second round on Saturday against the winner of the first-round game between Edison High of Fresno and West Torrance. The Broncos are led by junior Jaelyn Brown (18.4 points per game, 11.4 rebounds), junior Brittney Reed (15.6 ppg, 7.1 rpg) and junior Nasrin Ulel (11.0 ppg).